Letter of the Week ! E e ! 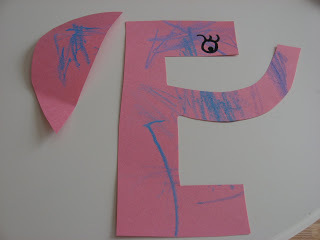 This is a simple but effective activity to introduce the letter E. With older children I have grabbed everything from my craft closet and let them make ” Everything Es” but toddlers and young preschoolers are better served with something more tangible like an elephant. 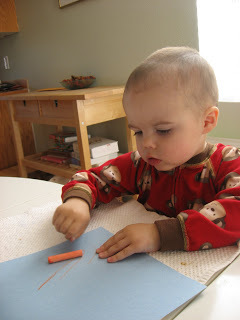 So it’s not our cutest craft ever, but it will do the trick! Gather your materials. 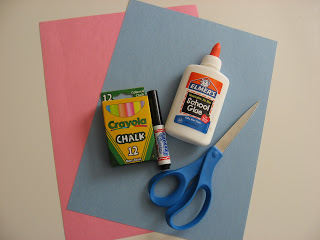 You will need 2 pieces of construction paper, something to color with, glue, scissors and a marker. 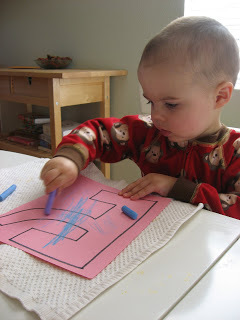 We used chalk because we haven’t used it in a while but paint would look great! 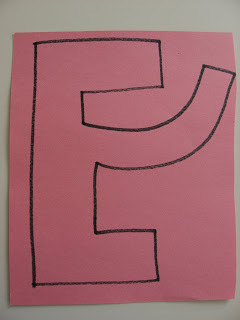 Draw an E with a long trunk in the middle. 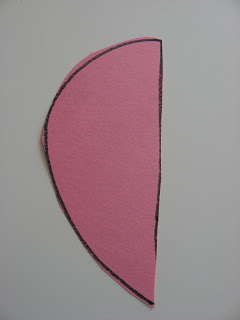 Draw a large ear . 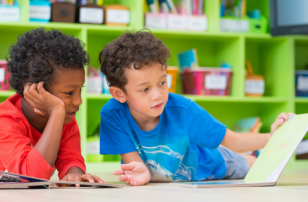 Have your child color the E, talk about how elephants have trunks, and ask them what other big things do elephants have on their heads? Have them color the big ear. 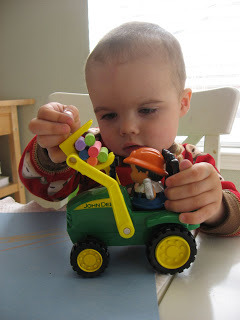 This is just a picture of my son stacking the chalk on his tractor, he took a breather while I cut out the E .
Grab the 2nd piece of construction paper and if your child wants to color it as well. Time to glue everything on! 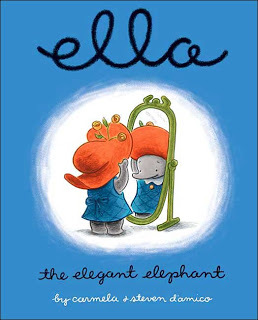 ” Ella : The elegant elephant” by Carmela and Steven D’Amico is a cute story about Ella the little elephant that is nervous about her first day of school. She tries to make herself feel better but the school bully still teases her. I like this book because it shows kids that you can stand up for yourself without bullying the bully. 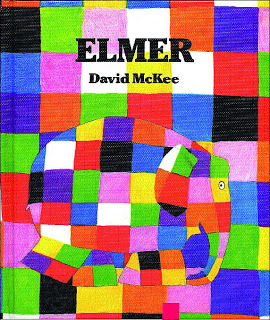 “Elmer ” by David McKee is another book with a great message. Elmer is different, he isn’t gray like all the other elephants, and he’s a little bit of a goof too! He’s not so sure he likes that though. Like all of us it takes some time for Elmer to accept who he is but in the end he sees that patchwork is just who he is! 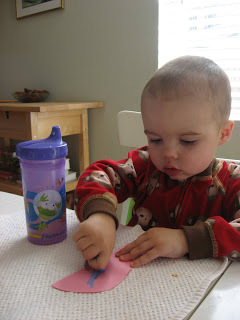 Next Post: Naptime Creation: Halloween Hair Do! 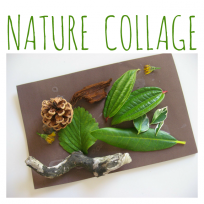 just wanted to drop you a quick note-I work in daycare as well as being a mom, your ideas are a great resource and inspiration! Love what you’re doing, keep it up! 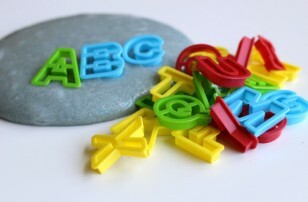 I know so many people love your blog so the more that know the better. Ronda- Great minds think alike! I already entered but thank you so much for thinking of me! Also for you or anyone else I can be reached at allie@notimeforflashcards.com. 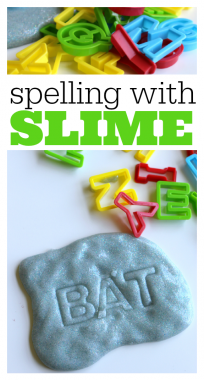 I’ve been trying to come up with a letter E activity. 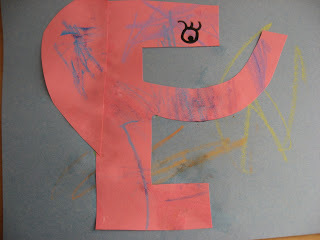 I kept thinking how can I turn an E into an elephant- and then you posted this great idea today. I think it’s adorable! My son adores elephants! I can’t wait to make and elephant-e with him! Good! Then I will keep my fingers crossed for you! I just found your blog through a friends site. I love it! 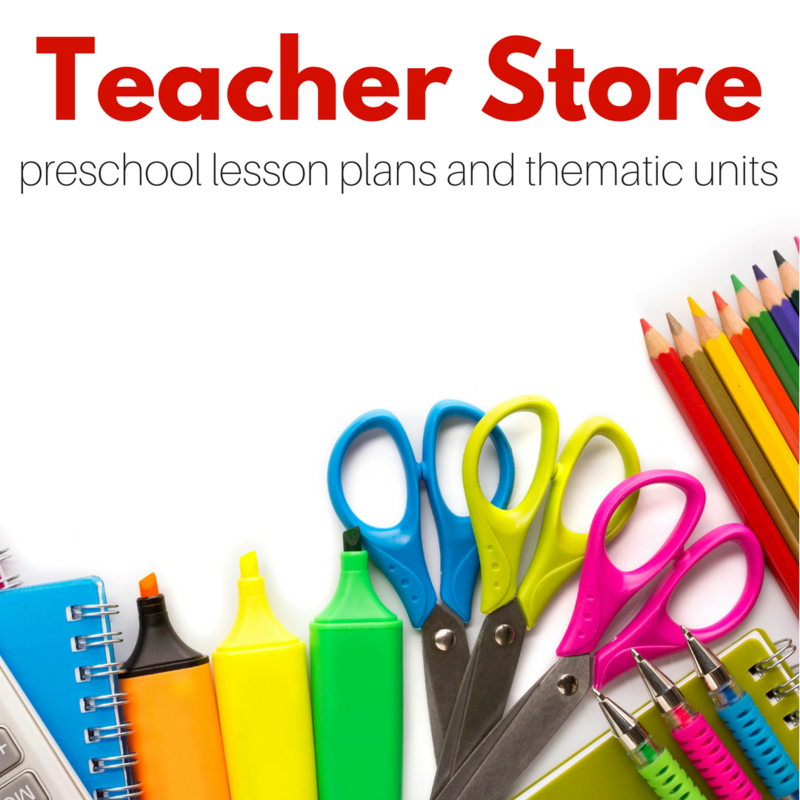 I use to be a preschool teacher before I had my kids. 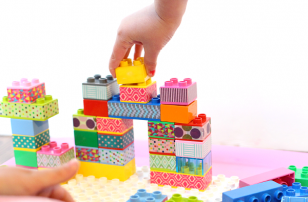 My daughter is now three and she is getting more into all the preschool activites. It has been so long since I have done any of these things that my mind has been blank on what to do with her (could be the new baby I just had!) 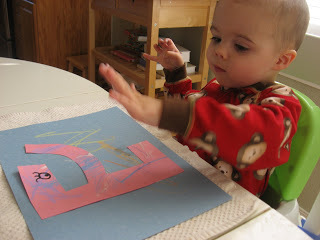 Anyways, we made the letter E elephant and is turned out so cute! She loves it and has been showing it to everyone that comes over! Can’t wait to try out more of you ideas. Very creative!